Swatch Sunday: Zoya Matte Velvets! Good morning, readers! 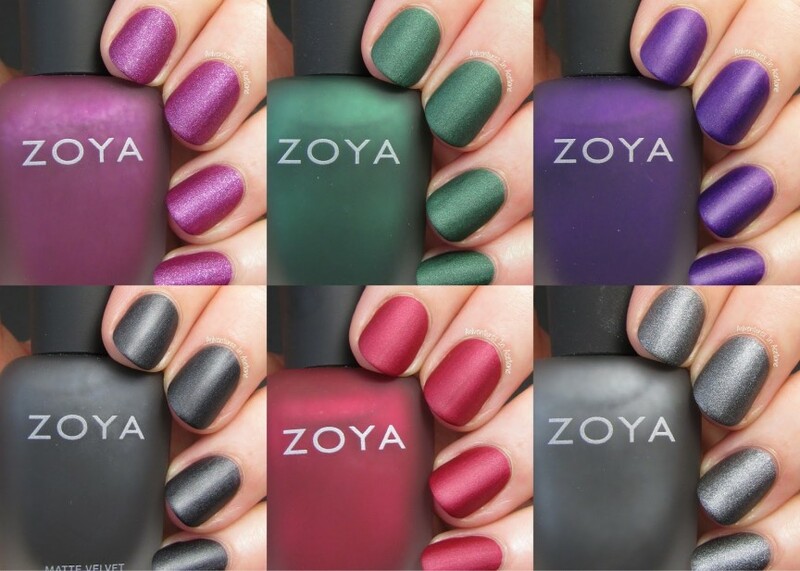 For a limited time, Zoya has rereleased the popular Matte Velvet Collection. I am a big fan of these and was so happy to see them available again to anyone who missed out the first time. Meant to be worn without base or top coat, they dry to a gorgeous matte finish, but apply like an easy creme or shimmer. No worries about it drying while you are painting it on resulting in lumpy, uneven nails. Let’s check them out! I’m showing two coats below with no top coat. The silver shimmer is intense and gorgeous! This is STILL one of my very favorite reds EVER. I’m showing three coats below with no top coat. It was more sheer but has TONS of shimmer. What do you think of the Zoya Matte Velvets? Were you able to grab them in the past, or are you excited they are available again? Which are your favorites? Zoya Matte Velvet colors are available exclusively at Zoya.com for $9 each. Thanks so much for reading! *The polishes in this post were send for me to review with my honest opinion. They are absolutely gorgeous! I love the soft, velvet finish they have. Loredana is my fave! Beautiful swatches! The red on is just wow! Love the matte effect of these! These are so pretty! I love that they're so shimmery despite being matte!